So my interior fan is not working all the time, not sure if it's the fan, the bearing the fan spins on or the resistor switch. I have taken off the cover of fan and knocked with screwdriver and it started working. Any ideas a resistor is like $40.00. A new fan is like $350.00. Hi and thanks for using 2CarPros. If the resistor was bad, it would not work on and off. Usually, a bad resister will allow the fan to only work in high speed and no other. Now, is the fan making any noise which would lead you to believe there is a problem with bearing or the motor? Here are the directions for removal and replacement of the motor if that is what you need to do. The remaining pictures correlate with these directions. For the 12 volt engine restart battery of HEV model, disconnect the ground terminal from 12V engine restart battery sensor. 2. Release the clips, and remove the under cover assembly - passenger. 3. Remove the blower - motor. (2) Remove the screws and detach the blower - motor. 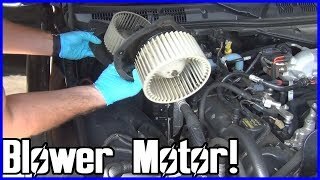 Here is a test to determine if the motor is bad. Picture 6 shows pin connectors to the motor and which one gets power and ground. You will need to provide battery power to perform this test. 1. 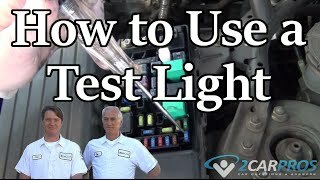 Check the motor operation when battery voltage is applied between the terminals of motor. 2. If it does not operate normally, replace the blower - motor. Let me know if any of this helps or if you have other questions.